DSSL undergraduate researcher Robert Ponder was awarded the Rising Renaissance Engineer Spectrum Award for Mechanical Engineering at the 2017 Engineer’s Week banquet on February 23, 2017. 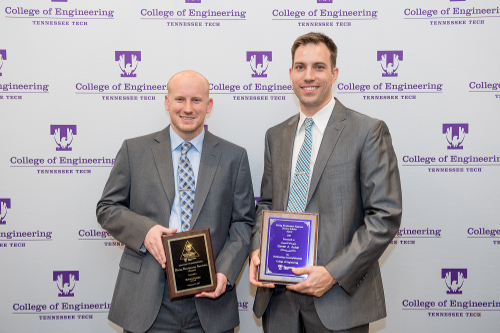 The Rising Renaissance Engineer Spectrum Award recognizes a diverse body of students across all the degree-granting departments in the College of Engineering for their initiatives and achievements in educational, research, and professional development activities. Congratulations Rob!